Founded in Spain in 1963, Pili Carrera has become famous for dressing the Spanish royal family’s children in the finest luxury clothing. Their collection features beautiful traditional clothing, as well as essential changing mats and bags. 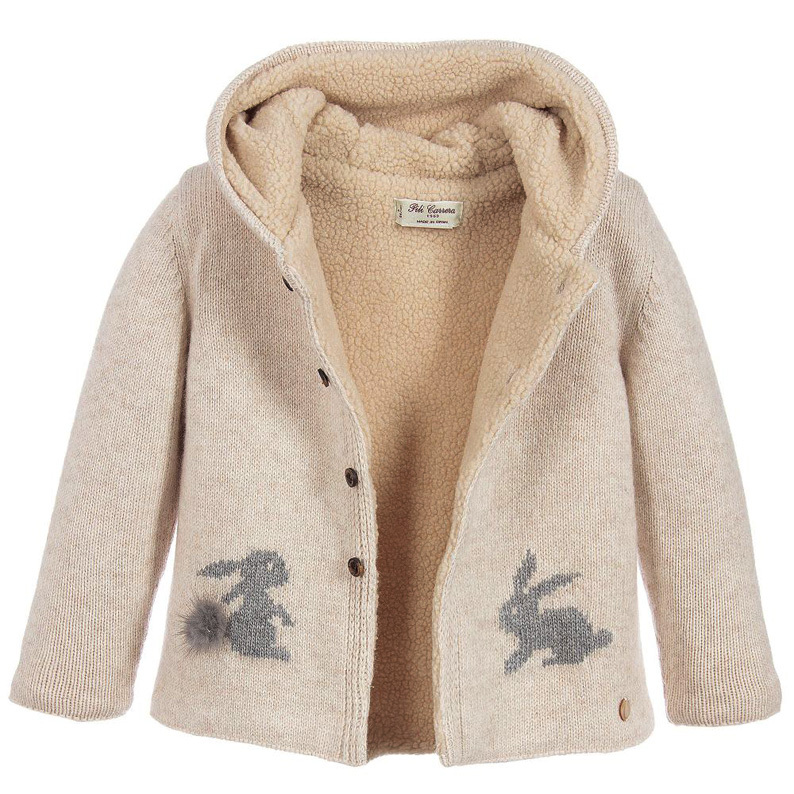 This lovely, hooded beige jacket by luxury Spanish designer Pili Carrera will keep both boys & girls super cosy when it gets chilly outside. 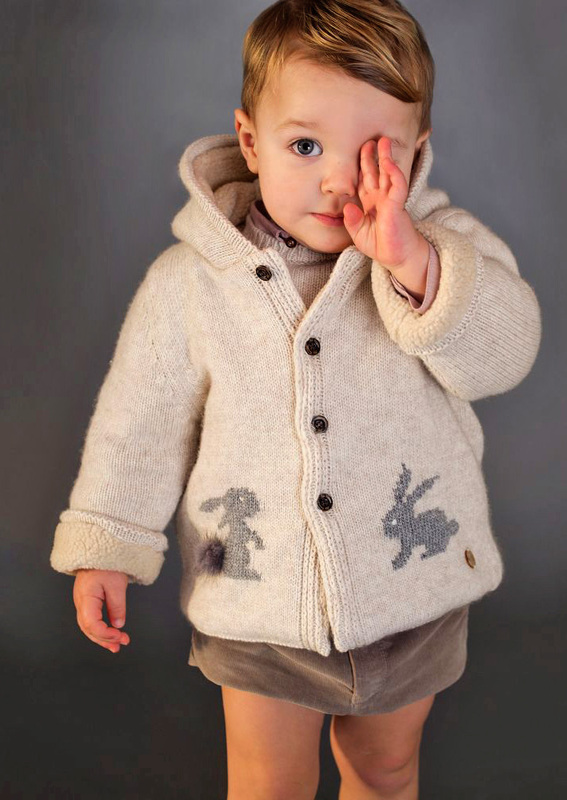 Made in a soft, knitted cotton, cashmere and wool blend, it has cute grey bunnies on the front, one with a fur appliqué tail. Fastening with logo buttons, it has a mother-of-pearl logo charm sewn by the hemline. 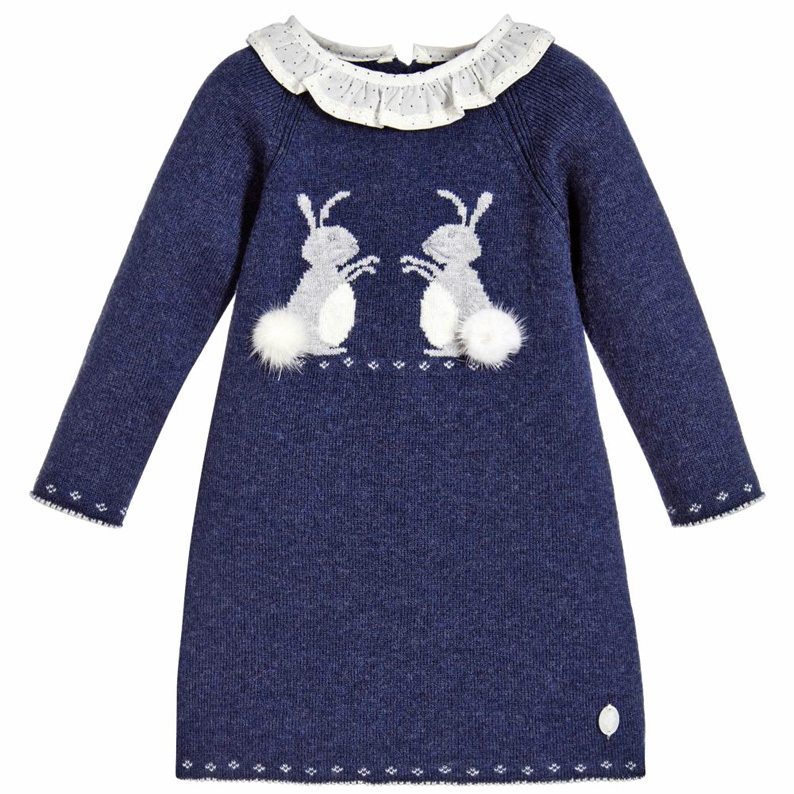 This lovely blue dress by luxury Spanish designer Pili Carrera will keep girls cosy when it gets chilly outside. Made in a soft, finely knitted cotton, cashmere and wool blend, it has cute grey bunnies on the front with fur appliqué tails. As a finishing touch, it has a cute ruffle collar and a mother-of-pearl logo charm sewn by the hemline. 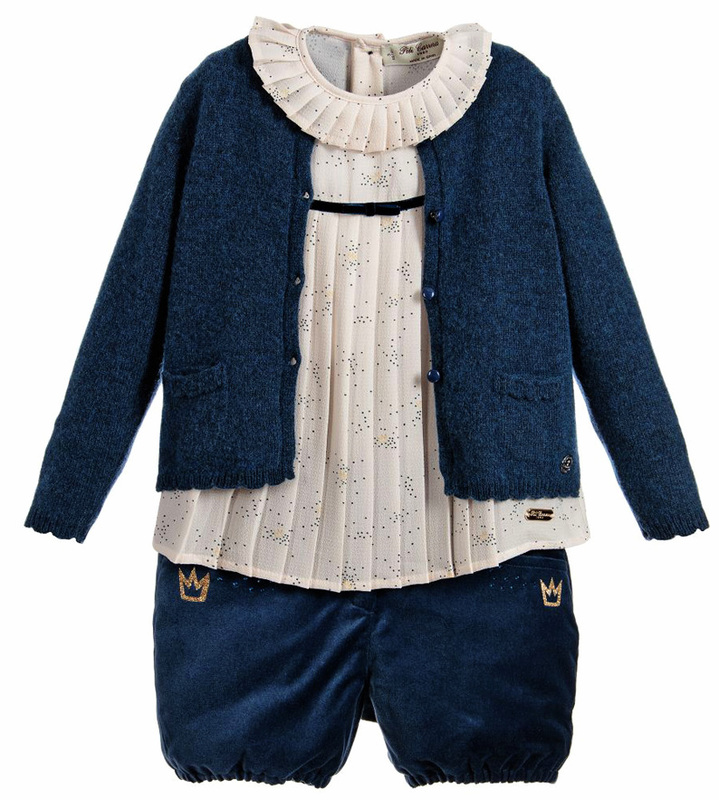 A complete outfit for you little girl by Pili Carrera, which means you don't have to worry about matching items. The pleated ivory blouse is made with a lovely crêpe feel and has a velvet detail to match the adorable smart blue shorts. The set comes with a luxurious wool blend cardigan, which will add extra warmth when required. This shorts set by Pili Carrera is a luxurious choice for little girls, consisting of pink velvet shorts, a polka dot blouse and a knitted, pom-pom cardigan. The glittery cardigan is made with wool and mohair, and the shorts are fully lined in cotton for comfort. The blouse is lightweight and feminine, and is finished with a mother of pearl charm at the hem.